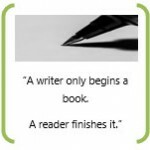 Get pertinent coaching help with your writing. Let me help you take your manuscript to the next level. Send me you’re the first six, double spaced, 12 pt. font pages for a free review. If you like what I can do for you, contact me to schedule a review with the rest of your manuscript. Don’t chance someone passing up your novel because of credibility issues with incorrect facts or history. Send me your novel, short story or essay, and I will coach you on cultural accuracy. I have worked with Betty for four years in a critique group. She always provides thorough and thoughtful reviews of my work. I can count on her to bring attention to technical and emotional missteps with useful suggestions. My writing has improved with the help of her honest feedback. I have known and worked with Betty Scheetz for the past eight years. had validated their works that her involvement in coaching, advising and or critiquing other peoples work is adding value to the efforts of accelerating qualitative education at all levels. Her professional touch to my PhD Dissertation is equal to none. It gave my work high excellent commendations by my Supervisor, Department, Faculty and External Examiner. Her Website will be an outstanding contribution to the invaluable quality delivery service to humanity in all aspects of life, being an erudite guru and joga she is.